I love the “pre-birth” of this rose. It reminds me of the change in seasons, of life anew. 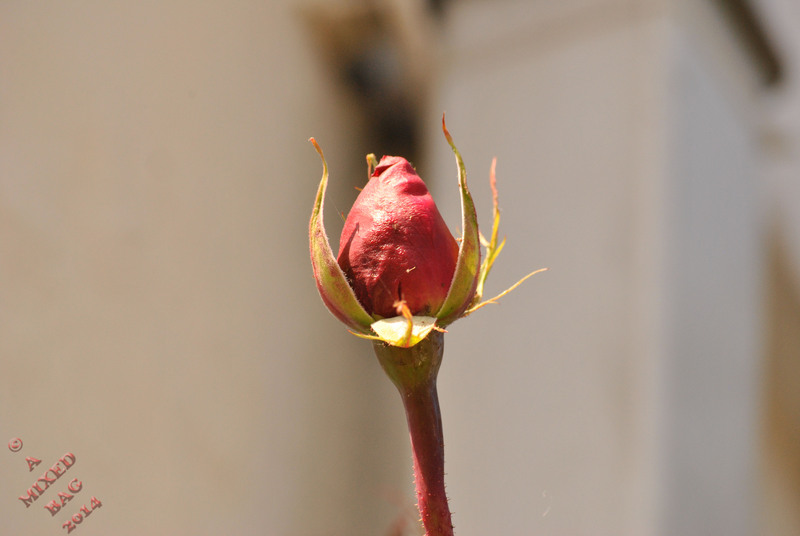 This entry was posted in Photography and tagged April, Flowers, Life, Nature, Nikon, Nikon D3000, Photos, Plants, Postaday, Rose. Bookmark the permalink. Hmm… Pre-birth… interesting. I almost got roses at the florist yesterday. But decided not to since they probably wouldn’t last too long. Nature is indeed the most divine of beauties. It looks like it’s made of clay. So it must be real.